GPay (Google Pay) enables you to pay online payment directly from your Bank account to any e-commerce website. You can purchase any products from the e-commerce website and pay using Gpay, the money will be debited from your Bank account. That mean, you don’t need to login net banking or enter Debit cards details. 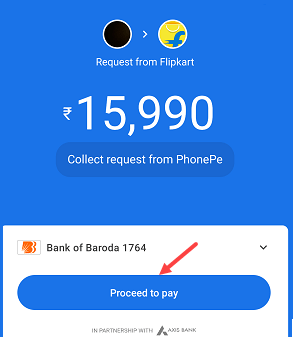 Here we will tell you how to Pay on Flipkart using GPay (Google Pay). Before you start, make sure your Bank account linked with Gpay and have valid UPI ID and UPI PIN. You need to enter UPI ID during payment and UPI PIN to authenticate the transaction. 1: Open Flipkart, select your product and tap on Buy now. 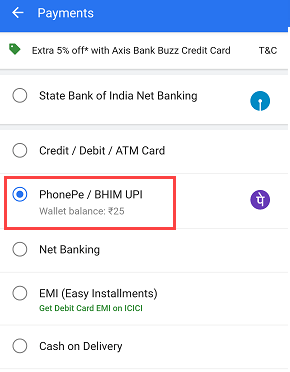 Proceed to Payment and select PhonePe/BHIM UPI option. 2: Next screen, tap on Other UPI ID and enter your Gpay UPI ID and verify it. After verifying UPI ID proceed to pay. Now Flipkart sends the request to Gpay to authorize the transaction. Do not close the Flipkart App. 3: Now open Gpay App and open All Transactions. 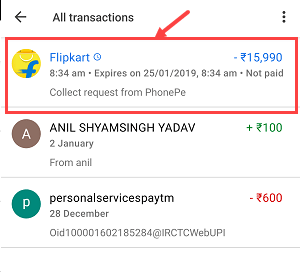 4: In All transactions, you can see Flipkart Request for payment. Tap and open. And finally, tap on proceed to pay. Next screen, you just to need to enter UPI PIN to validate the transaction. That’s it, Payment successful and your order placed successfully. The amount will be debited from your Bank account. Q.1: Where I find my Gpay ID? Open Gpay App. 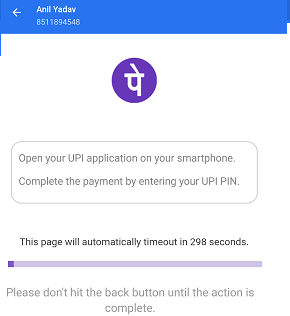 You can find your UPI ID in settings. 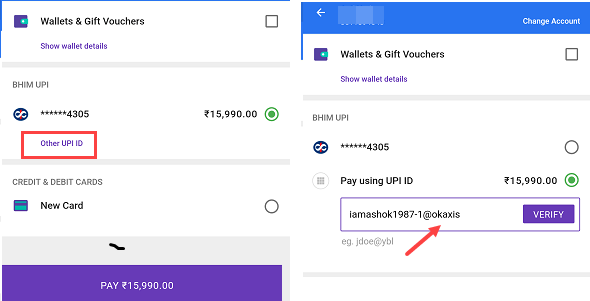 This UPI ID linked with your Bank account. Q.2: Forgot My UPI PIN? You can reset UPI PIN using the Debit card. Open settings, tap on Bank account and select Forgot UPI PIN. Q.3: What happened if the transaction failed? If the transaction failed and money deducted from your account then don’t worry, it will be credited to your Bank account within 2-3 days. 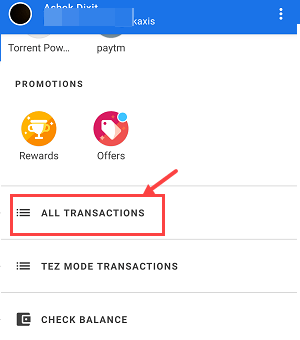 So this is how to pay on Flipkart using Gpay (Google Pay). Just select UPI option, enter UPI ID and authenticate the transaction by entering UPI PIN.